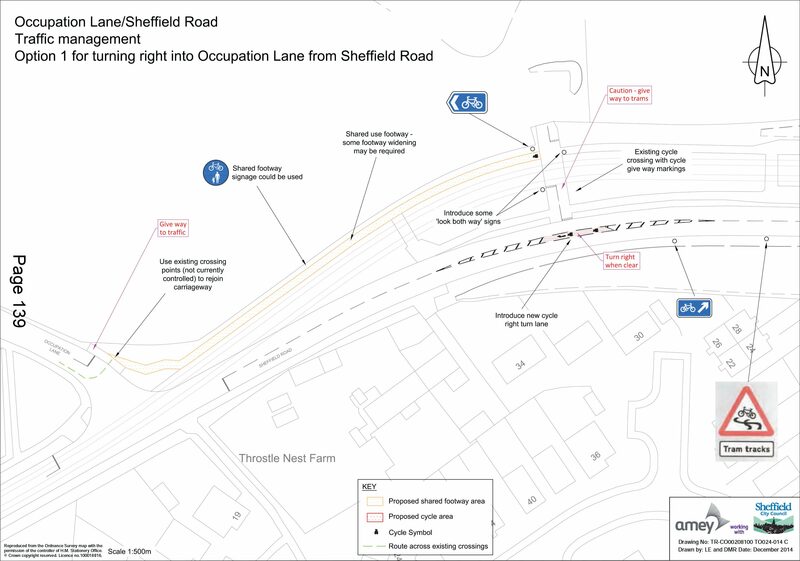 The latest Sheffield Council report into the dangers caused to cyclists by the city’s tram lines has been a long time coming. Commissioned in July 2014, issued to the council in Sept 2015, and published in June 2016. After almost 2 years of work, the report should be impressive, but sadly it’s deeply disappointing and its severely lacking in a number of key areas outlined below. You can read the full report here. 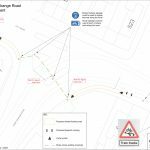 Suggested road layout changes focus on converting existing footways to ‘shared use’, with a presumption that cycling space must come from existing (limited) pedestrian space. 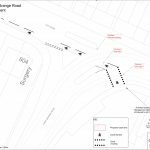 Reallocation of space away from motor traffic is not given a single thought, and the creation of dedicated cycle ways is noticeable in its absence. 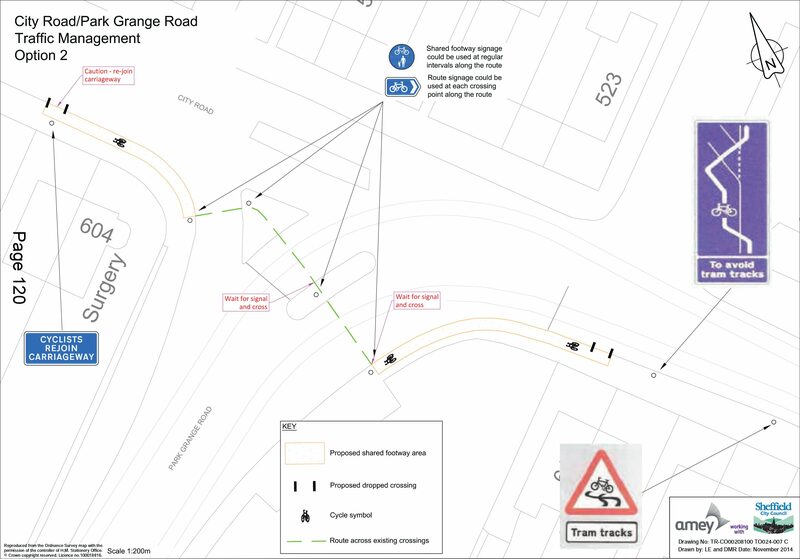 Constraints do not include motor traffic, it never crossed their minds to change the space allocated to motor traffic. 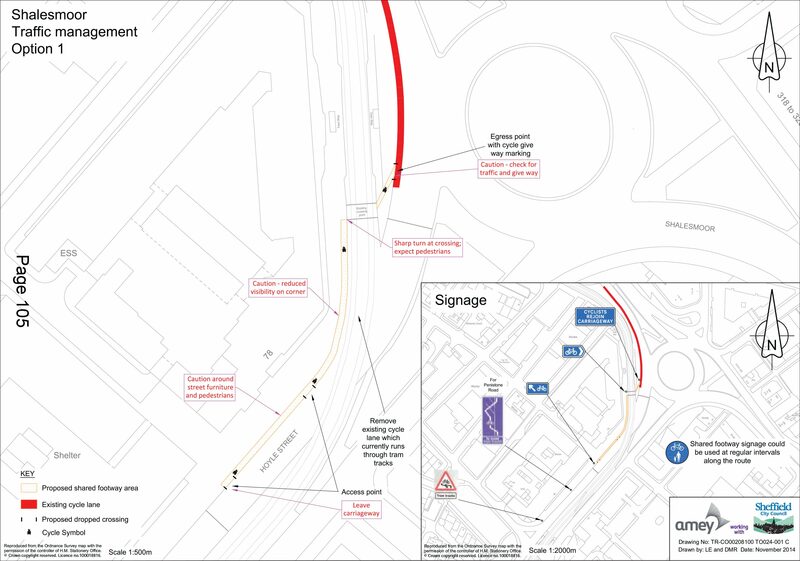 None of the provisional layout changes create cycleways, they just lump cycling in with walking, on the footway. 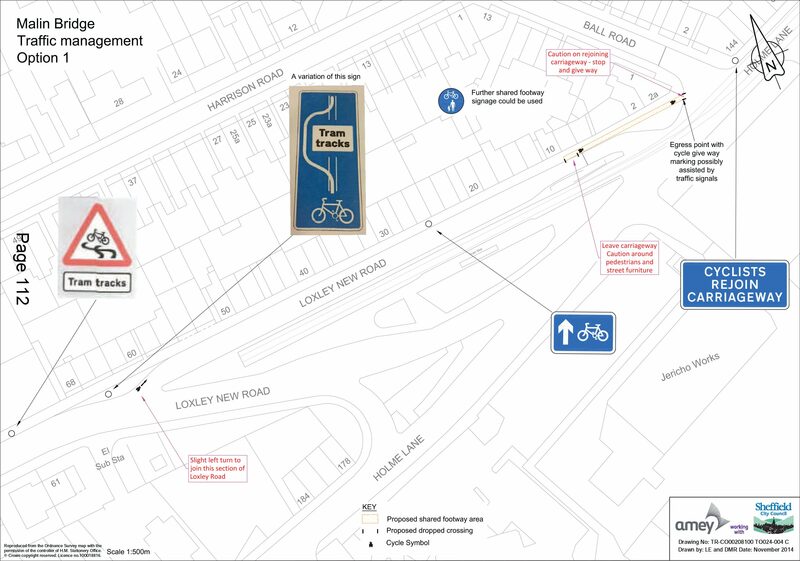 It is a cycling report inspired by LTN2/08, widely considered to be obsolete and far behind recognised best practice in designing for walking and cycling. 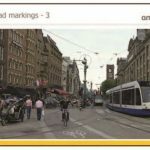 There seems to be a fundamental misunderstanding of how Dutch tramways reduce danger, referring to sustainably safe junction layouts as ‘road markings’. 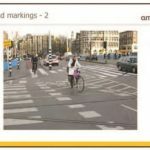 The examples from the report below are shown as ‘road markings’ even though they clearly show separated cycle tracks, which provide clear routes across junctions with embedded tram tracks. 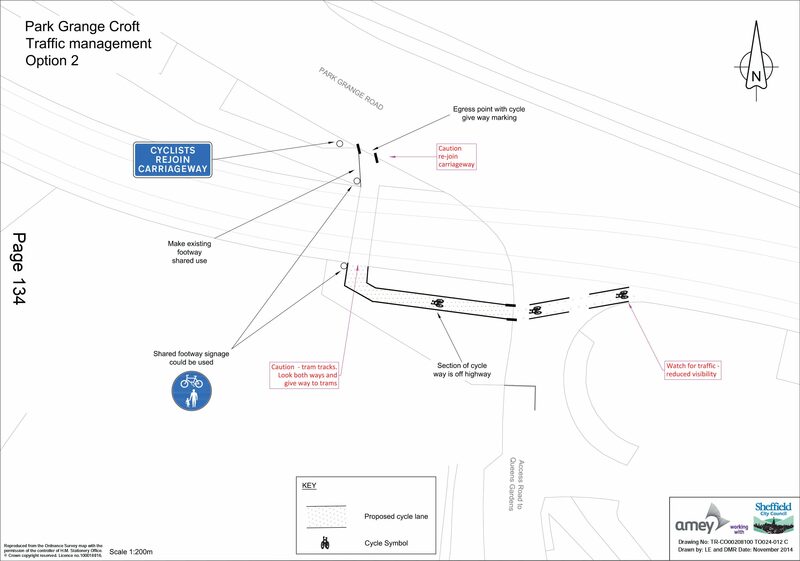 The layout of these junctions has been designed to be as safe as possible, it’s not the ‘road markings’ that mean that these are safe, and cherry picking and replicating ‘road markings’ alone will not create a safe solution. 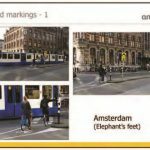 It’s disappointing that a detailed review of the best high quality cycle infrastructure around tram lines was not included. This example is from Utrecht. 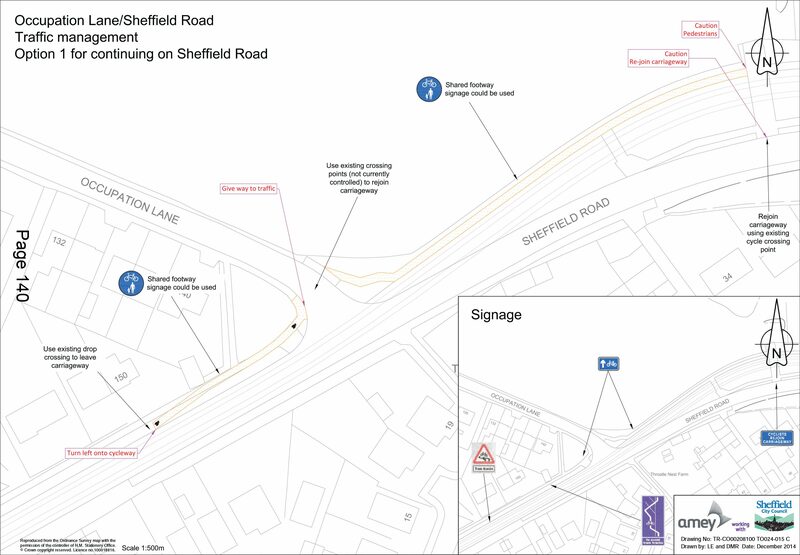 There is no discussion of Sheffield’s previous plan for dealing with the danger of tram lines, no review of previous programmes of work, no review of their effectiveness, and no discussion of why previous work failed to adequately address the danger. There is no mention of the hospital study conducted in 1994. Funding is non existent, there is no funding plan to go with this report. Discussion of potential funding sources completely ignores the Sheffield City Region Growth Deal and devolved transport funding, instead choosing to focus on DfT direct funding. 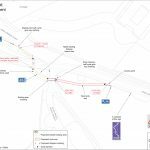 Current tram rail replacement: a missed opportunity? 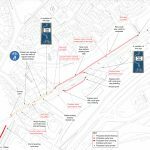 The report fails to mention the approximately £5 million currently being spent on tram line replacement and fails to identify opportunities from that project to improve the safety of cycling around tram lines. This report contains numerous missed opportunities. One if its real shortcomings is its failure to view the tram system as part of the wider street and transport network. 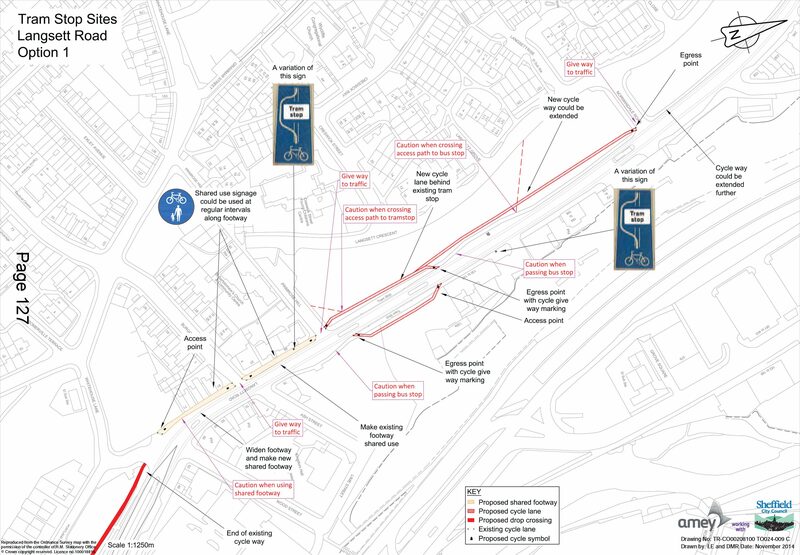 Only very immediate localised changes have been proposed (e.g to tram stops, or the roads which have rails themselves), which fail to identify opportunities such as the potential use of service roads alongside tramways as cycling infrastructure. This is something commonly seen in the Netherlands and other European countries. Service roads like this should be designed to support cycling parallel to the tram lines as is normal in The Netherlands. We know the council can do better, we’ve seen better designs in the past. 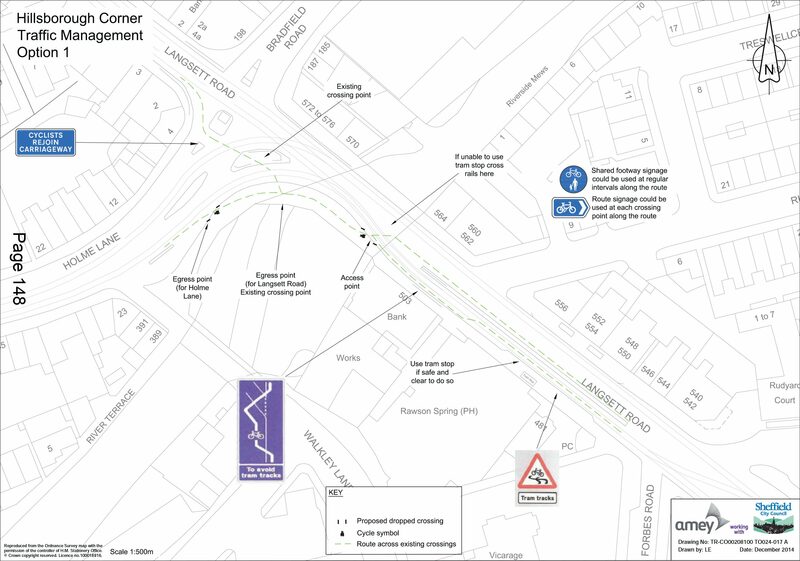 The report doesn’t include the visionary design of the crossing of Upper Hanover Street tram lines, perhaps the best piece of cycle infrastructure design to have ever come from Sheffield Council. It’s not even mentioned in the report. 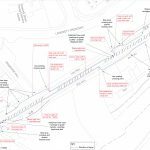 (I’m sorry, I don’t have an image for this and I don’t think it’s been published and I think the design was later watered down citing concerns over motor traffic gridlock). 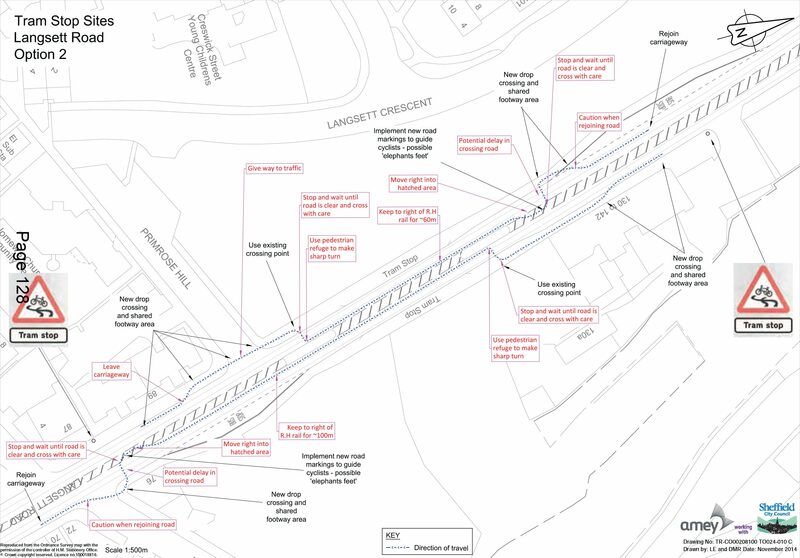 The report states that ‘adequate data for cycle incidents in relation to crossing tram tracks in Sheffield is almost non-existent’. 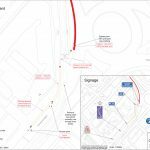 This is true, but it sets the blame squarely on the shoulders of cyclists, saying ‘these single person accidents tend not to be reported to the Police’ and ‘the only accident data available is when cyclists report incidents to SCC, SYPTE or Supertram… under-reporting of these types of incidents could be significant’. This is a misrepresentation the situation. Research by CycleSheffield has found that when cyclists report these crashes to the police, they often refuse to accept the report. 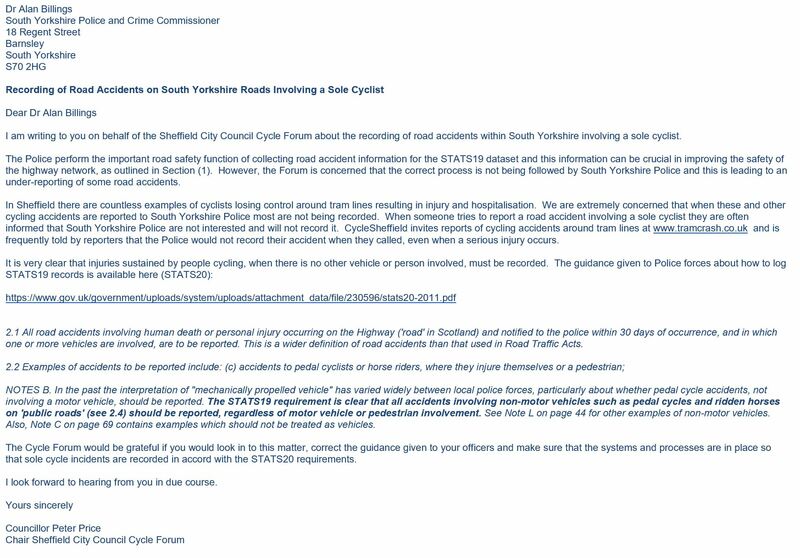 The Sheffield Council cycle forum has even sent a letter to South Yorkshire Police expressing concern at their failings to record these crashes. 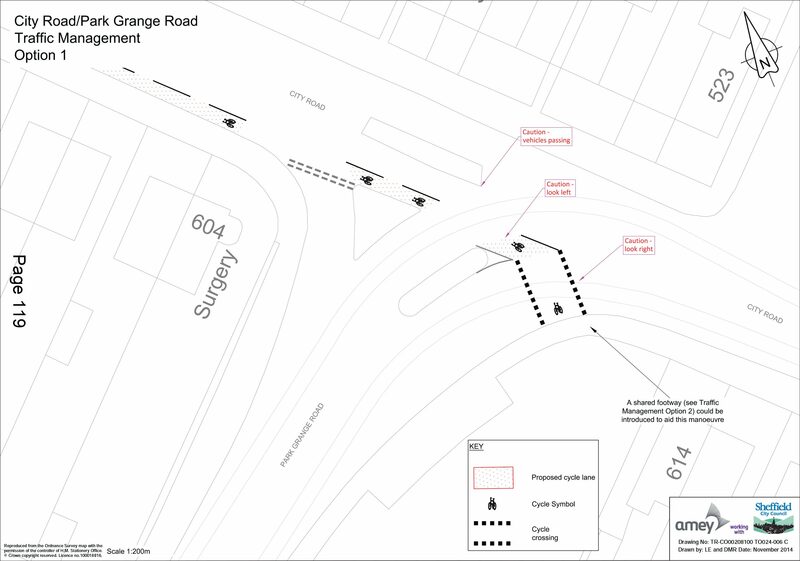 Another route is to report incidents to the Council or Supertram but people are often fobbed off just the same (as documented by CycleSheffield). The blame for a lack of data lies squarely with our local authorities. 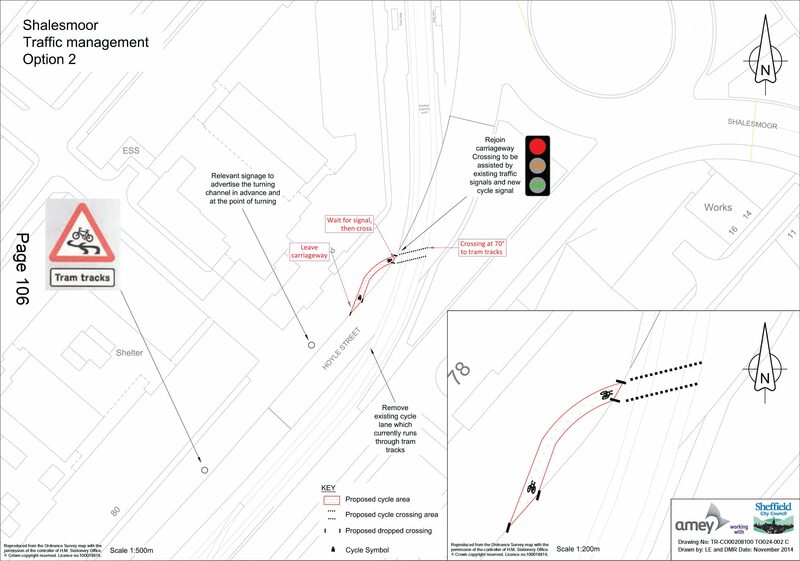 If you’ve crashed on the tram lines then report it at tramcrash.co.uk which is run by CycleSheffield. They collect the information and anonymously share it with whoever needs it (including Sheffield City Council). They have created an up to date map of all reported crashes. So, to sum up, very very disappointing. 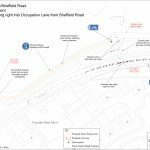 I hope that CycleSheffield are able to put pressure on Sheffield City Council to improve this report. 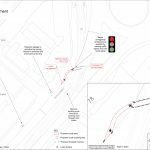 As a proven major cause of injury and distress, cycle crashes on Sheffield’s tram tracks should be taken seriously. 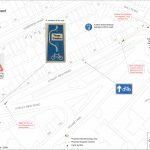 Sheffield City Council says it wants to increase the number of journeys made by bike in the city, now we need some action to prove it. And they have, the report has been pulled from the council meeting agenda pending further discussion. 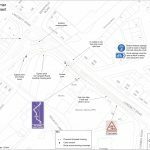 This entry was posted in tram on July 2, 2016 by Matt. Good article, cheers Matt! Surprised you didn’t mention the ‘dooring’ issue though. 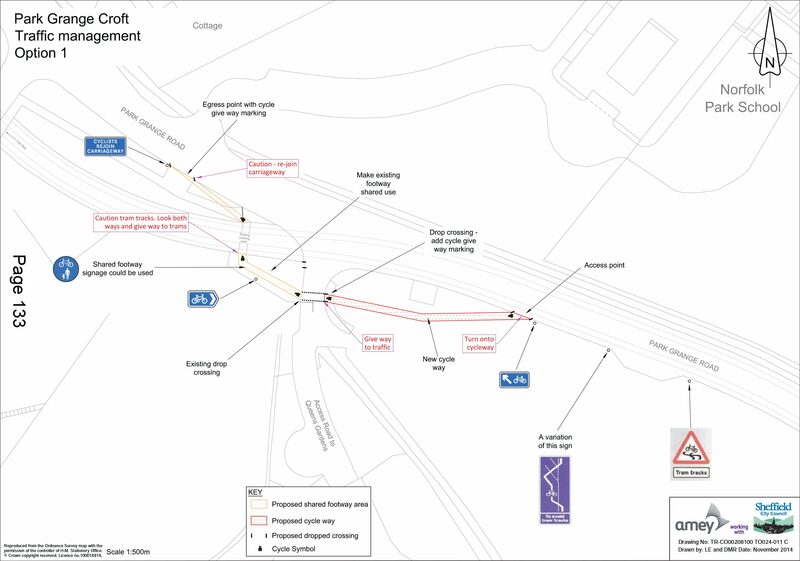 Also that tram track replacement work is cost £30m I think. Not £5m. Check the SCR capital budget I put on the CycleSheffield site. Twenty years on and various reports, plans and useless words from SCC. They have no intention of either spending money, diverting money or bidding for money which will make a difference. 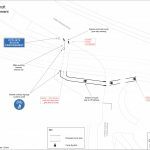 They have no intention of making any changes which they believe will cause opprobrium from the vehicle driving public. Sue them. Widen roads to reduce vehicle emissions? Really? 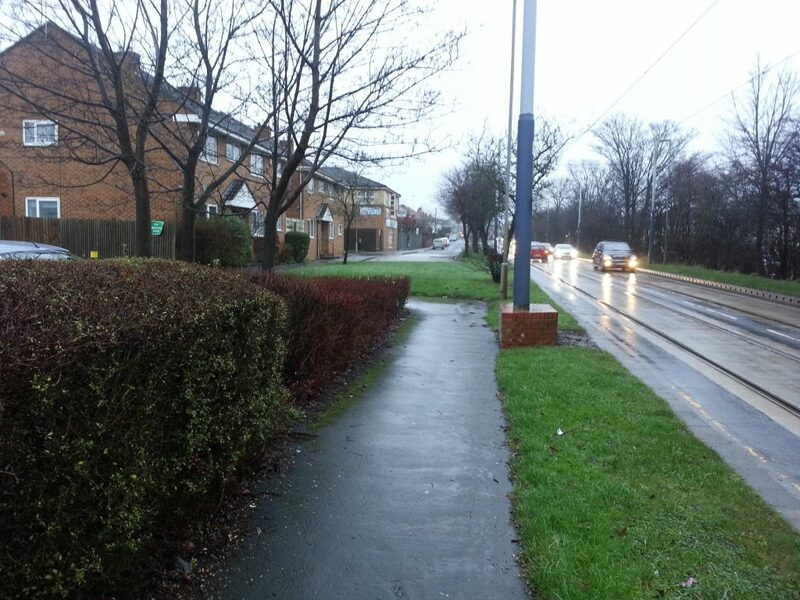 How many of Sheffield’s councillor candidates live in the ward in which they’re standing? jgh on How many of Sheffield’s councillor candidates live in the ward in which they’re standing? Matt on No more Sheffield Highways Cabinet Member Decision Sessions. 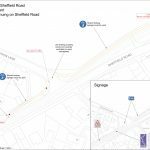 No more Sheffield City Region Transport Committee.